While Toledo has a strong application flow, the goal was to increase overall applications and be more strategic in specific application populations, especially in the area of international inquiries. The university also wanted to promote in-state and out-of-state campus visits, honors college interest and career fairs where the school’s counselors would be present. 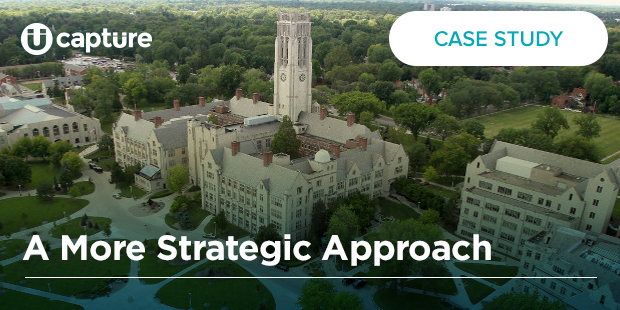 Use Capture Engagement Score (CES) to guide communications strategy unique to Toledo. Capture Labs analyzed three triggered emails for the school, including in-state and out-of-state visitors who went to visit-related pages, and also international visitors who visited the partner’s site from one of the school’s 12 sister cities in 11 countries. The University of Toledo is a large, student-centered, public metropolitan research university in Toledo, Ohio serving 23,000 undergraduate, graduate and non-traditional students.